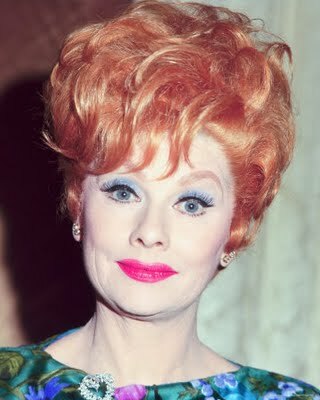 Today is the 106th birthday of Lucille Ball. He comic timing and trailblazing genius has made TV what it is today. The world is a better place because she was in it and still feels the loss that she has left. 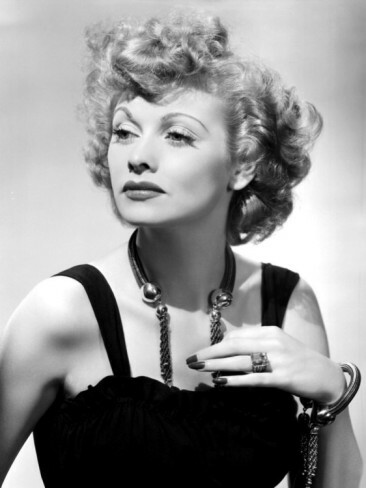 Lucille Désirée Ball (August 6, 1911 – April 26, 1989) was an American comedienne, film, television, stage and radio actress, model, film and television executive, and star of the sitcoms I Love Lucy, The Lucy–Desi Comedy Hour, The Lucy Show, Here’s Lucy and Life With Lucy. One of the most popular and influential stars in the United States during her lifetime, with one of Hollywood’s longest careers, especially on television, Ball began acting in the 1930s, becoming both a radio actress and B-movie star in the 1940s, and then a television star during the 1950s. She was still making films in the 1960s and 1970s. In 1962, Ball became the first woman to run a major television studio, Desilu; a studio that produced many successful and popular television series. Ball was nominated for an Emmy Award thirteen times, and won four times. In 1977 Ball was among the first recipients of the Women in Film Crystal Award. She was the recipient of the Golden Globe Cecil B. DeMille Award in 1979, the Lifetime Achievement Award from the Kennedy Center Honors in 1986 and the Governors Award from the Academy of Television Arts & Sciences in 1989. In 1929, Ball landed work as a model and later began her performing career on Broadway using the stage name Diane Belmont. She appeared in many small movie roles in the 1930s as a contract player for RKO Radio Pictures. Ball was labeled as the “Queen of the Bs” (referring to her many roles in B-films). In 1951, Ball was pivotal in the creation of the television series I Love Lucy. The show co-starred her then-husband, Desi Arnaz as Ricky Ricardo, Vivian Vance as Ethel Mertz and William Frawley as Fred Mertz. The Mertzs were the Ricardos’ landlords and friends. The show ended in 1957 after 180 episodes. Then, some minor adjustments were made to the program’s format – the time of the show was lengthened from 30 minutes to 60 minutes (the first show lasted 75 mins), some new characters were added, the storyline was altered, and the show was renamed The Lucy-Desi Comedy Hour, which ran for three seasons (1957–1960) and 13 episodes. Ball went on to star in two more successful television series: The Lucy Show, which ran on CBS from 1962 to 1968 (156 Episodes), and Here’s Lucy from 1968 to 1974 (144 episodes). Her last attempt at a television series was a 1986 show called Life with Lucy – which failed after 8 episodes aired, although 13 were produced. Ball met and eloped with Cuban bandleader Desi Arnaz in 1940. On July 17, 1951, at almost 40 years old, Ball gave birth to their first child, Lucie Désirée Arnaz. A year and a half later, Ball gave birth to their second child, Desiderio Alberto Arnaz IV, known as Desi Arnaz, Jr. Ball and Arnaz divorced on May 4, 1960.